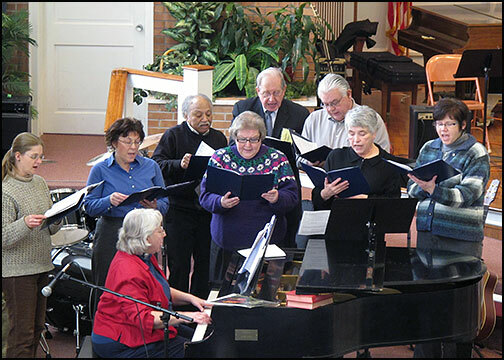 Our chancel choir is comprised of folks of all ages and backgrounds with one thing in common: They love to sing! We sing many different styles of music, both traditional and contemporary. The ability to read music is helpful but not required. 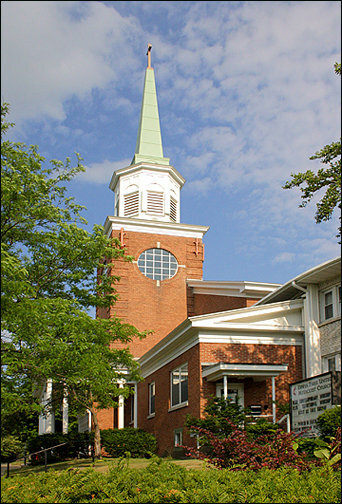 When not singing during worship services, choir members are free to sit in the congregation alongside friends and family (as opposed to staying in a choir loft). Rehearsals are Thursdays at 7:30 p.m. in the Music Room. ALL are welcome!